Melly drops the album from behind bars. 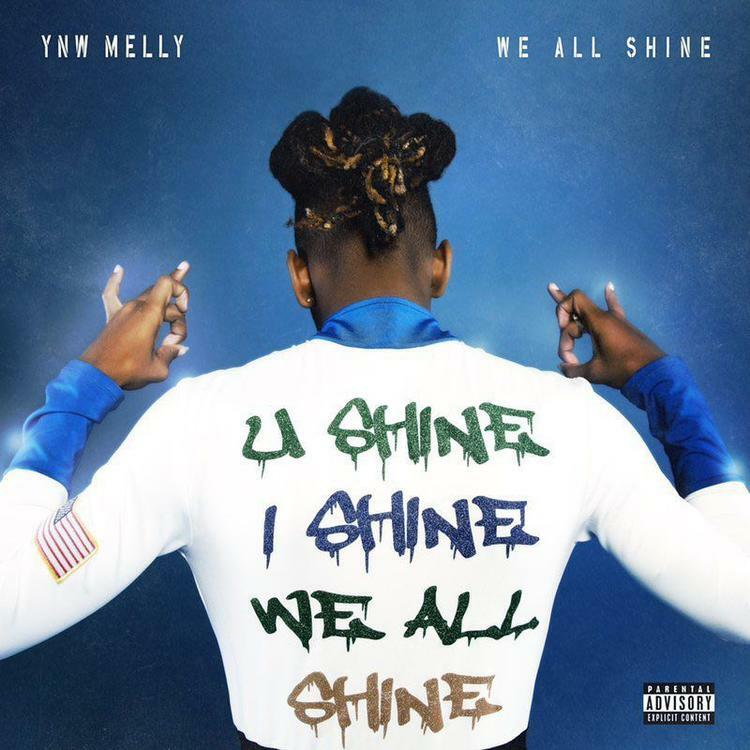 YNW Melly was locked up a few weeks ago on marijuana charges, but he didn't let that stop him from coming through with a new album. “The police are very, very dirty and racist,” he told FADER. “They wanna kill me. I had to get out of that environment.” The fact people are still being thrown in jail for weed is ridiculous, but that's a conversation for another time. The South Florida product teased We All Shine prior to his lock up, and now the album has arrived. This is Melly's sophomore effort following his debut I Am You, which touched down last August. Kanye West and Fredo Bang are the only guest appearances on the 16-track album. The West-assisted "Mixed Personalities" came along with a new music video directed by Cole Bennett. Stream We All Shine on Spotify, Apple Music, and Tidal now.